Wolf's routine took shots at President Donald Trump, Vice President Mike Pence, White House press secretary Sarah Sanders and the media. 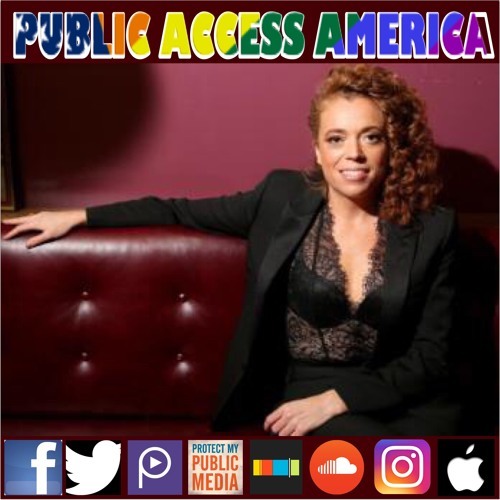 michelleisawolf.com https://www.michelleisawolf.com/tour Source Link https://youtu.be/L8IYPnnsYJw We are proud to be curating a stream of positivity, fact, and information on Twitter at @PublicaccessPod (twitter.com/PublicAccessPod) Facebook as well @PublicAccessAmerica (facebook.com/PublicAccessAmerica). Please take a moment to subscribe, rate and review on iTunes ( goo.gl/soc7KG) The Stitcher Smart Radio App (goo.gl/XpKHWB) or any where you find your favorite podcast.